The Pershing range stands out for its superior performance, continuous stylistic development, top quality materials and painstakingly designed interiors that offer ultimate comfort. Advanced construction methods, powerful engines reaching 7400 HP and the use of surface propellers, hydrojets and gas turbines all combine to give Pershing yachts a distinctively sporting trim and up to 50 knot peak speeds. Once you experience the passion behind every Pershing, every other boat just seems ordinary. 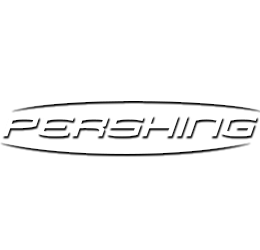 The Pershing range consists of nine models from 50 to 140 feet.